This is a standalone title, with some romance, a haunting, and a whole lot of mystery. The steam factor is low for those more conservative types out there. It’s an interesting story with a HEA, but boy was I exhausted when I got there. The haunting is deeper and more twisted than anyone expects. If you like mystery, the paranormal, and twisted fairy tales, this is right up your alley. Skylar Blackwell is the heroine of the story, and she really does have a shoe problem. Really! She is a photographer by trade, that combines her shoe fetish into what she thinks is her dream career. The paranormal world though has other plans, despite her efforts to avoid it. Before she knows it, Skylar ends up at the creepy haunted mansion left to her by her paranormal hunting uncle. There she meets the hunky Dorian Delacroix and everything goes to hell in a handbasket. She tries to be a strong skeptic, but in her efforts to not be like her family, and not to fall in love with Dorian, she tends to miss stuff. 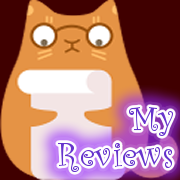 There is great efforts put into the details of this story and the writing was very emotionally charged. There is non-stop action and turmoil at every turn. Seriously, I was drained by the end. I feel like it could have been shorter and made more of an impact, because at over 11 hours, that is half a day of strife. Perhaps an epilogue or something of the like that had some more happy times to soothe the soul at the end. You will need something fluffier and lighter to cushion your heart after this. 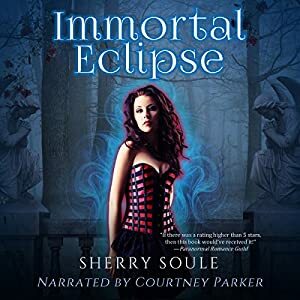 This is my first read/listen by Sherry Soule and her writing has great potential. I loved the world and character building and want to check out her other works. She currently has 3 titles on her Audible profile. Courtney Parker had her work cut out for her, because there were many characters, of various ages and genders, as well as states of being. She does well at portraying the emotions the characters are feeling. I would definitely listen to her other performances.